The Weather Prediction Center (WPC) QPF (Quantitative Precipitation Forecast) that just came out keeps increasing the liquid (moisture “melted snowfall”) with Monday night’s system. QPF has increased from .25 to .50 to .75″. This is significant because if we do in fact receive three-quarters of an inch of liquid there will be snow parties going on across the entire Washington Region on Tuesday with well over a foot of snow! 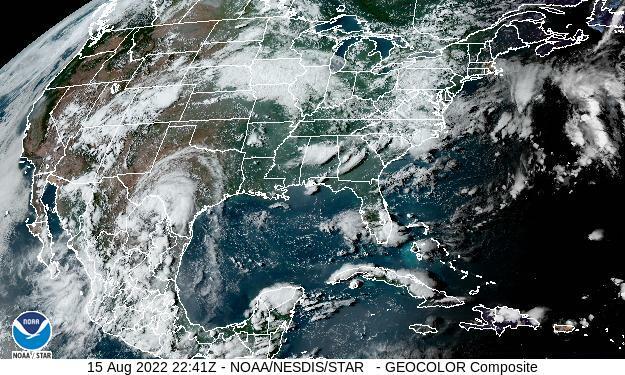 Winter Storm Watches were just posted by the wonderful folks at the National Weather Service for the potential of 5″ or more. They will watch the model runs closely overnight and will have to make a decision tonight or tomorrow morning. Bottom Line: Our first significant Winter Storm of the season is now only 24 to 30 hours away… temperatures will be in the teens during this event allowing for high snowfall ratios and a very fluffy snow. Any winds behind this system on Tuesday afternoon will cause blowing and drifting of snow. I have already made my case for record shattering (below zero lows) Wednesday morning… as high pressure moves on top of a snow-packed Washington Area. I can see temperature easily tanking below zero (actual air temperatures)… yes… temps dropping between 5 and 10 below zero is not out of the question under snow pack. If the Potomac river isn’t completely frozen yet… it will be. Happy Winter Everyone! Now go buy toilet paper and milk. To add to the festivities and the pleasure of shopping at packed grocery stores in the immediate Washington area you may want to run someone’s foot over with your cart. It is an emergency after all … LOL. 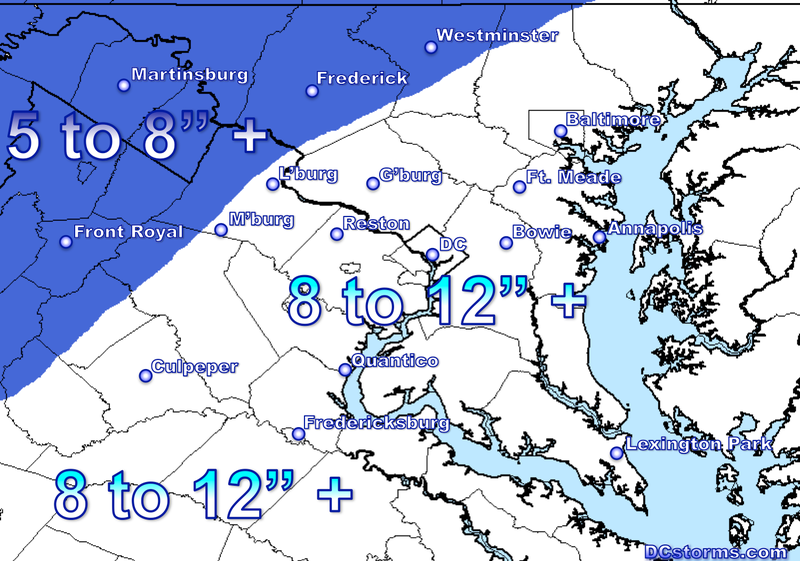 Next Post A Foot of Snow for Some … Final Snow Map Posted. No argument here. With high ratio, certainly hard to see less than 6-8″, but with fast movement, hard to see more than 10-12″. 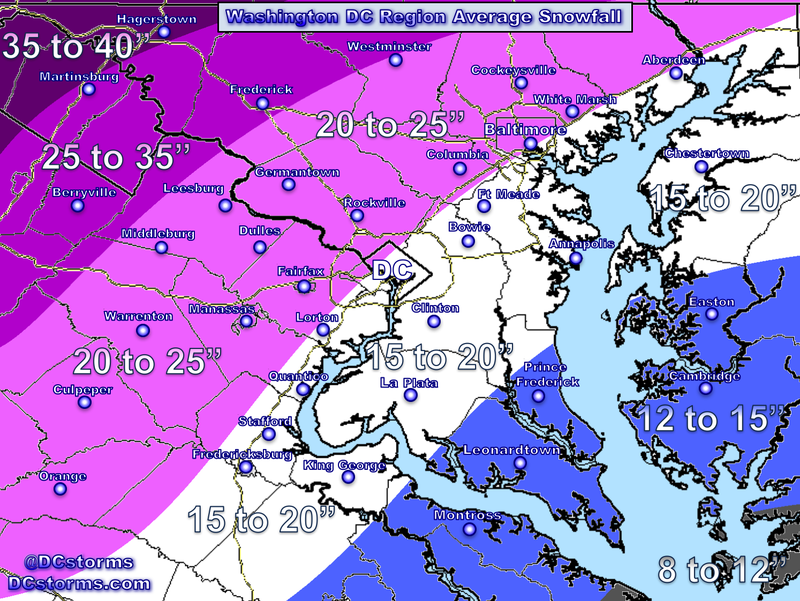 Unlike many other forecasters, you are not trying to micromanage it by having 6″ for the city and 10″ south of the city. Looks like no break from the cold thru the end of the month. Many places in New England are averaging 10-14 degrees below normal for February so far and they have a chance for not only record snowfall, but also perhaps their coldest month on record. Isn’t global warming wonderful? Nice thanks for the report, I hope we do get a big snow I think we will. 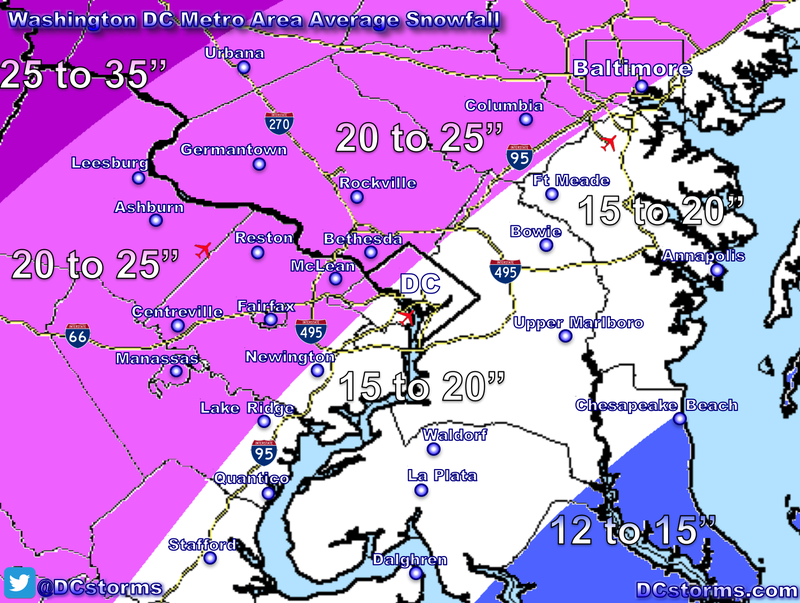 Hate to be a naysayer, but…..with the way snow forecasts go around the DC area (especially this winter’s PLETHORA of false alarms)…when I see it I’ll believe it.